T​HE BEST JAPANESE RESTAURANT IN DUBLIN FOR HAND-CRAFTED SUSHI, FRESH SASHIMI, AND TRADITIONAL JAPANESE DISHES. WE PREPARE OUR SUSHI AND JAPANESE DISHES WITH THE HIGHEST QUALITY INGREDIENTS AND PASSION. Banyi Japanese Dining is an authentic Japanese and Sushi restaurant in Dublin. Banyi Japanese Dining Sushi & Japanese Dublin Restaurant offers traditional Japanese cuisine and dishes. This Dublin Japanese & Sushi restaurant is the perfect place where our guests can relax and enjoy fresh Sushi and some of the best Japanese dishes in a traditional Japanese restaurant décor. Once you set foot in our Japanese restaurant in City Centre, Dublin, you would be immediately transported away from the hustle and bustle of Temple Bar and immersed in a relaxed Japanese setting and Sushi heaven. Choose from our a la Carte menu, set menus, or just pick some Sushi rolls from our extensive Sushi menu. 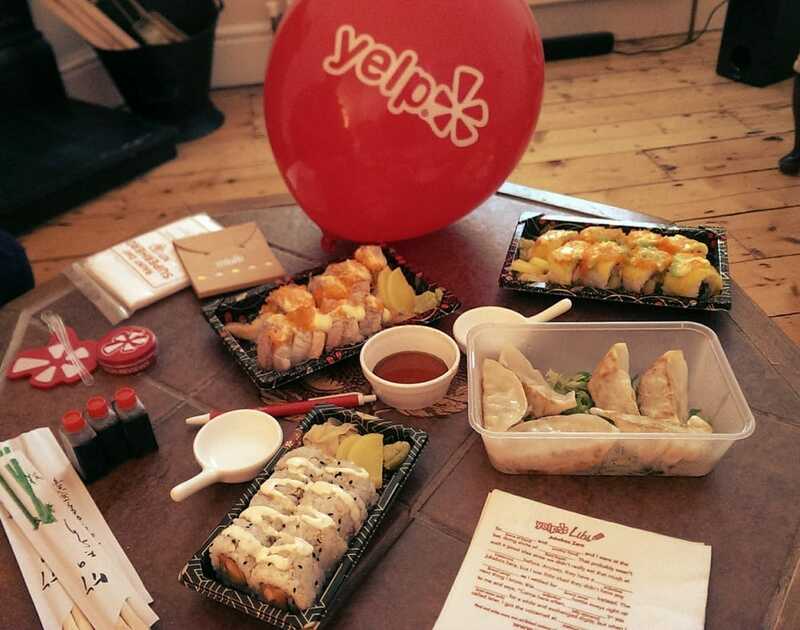 Come and visit Dublin's favourite Japanese & Sushi restaurant! Banyi Japanese Dining is one of the finest Japanese & Sushi premium dining restaurant in Dublin central Cultural Hub of Temple Bar. Established in May 2013, Banyi offers authentic Japanese dishes, and hand-crafted Sushi and Sashimi. The folks at Lonely Planet describes us as: " This compact restaurant in the heart of Temple Bar has arguably the best Japanese cuisine in Dublin. The rolls are divine, and the sushi as good as any you'll eat at twice the price. If you don't fancy raw fish, the classic Japanese main courses are excellent, as are the lunchtime bento boxes"
"This compact restaurant in the heart of Temple Bar has arguably the best Japanese cuisine in Dublin. The rolls are divine, and the sushi as good as any you'll eat at twice the price. If you don't fancy raw fish, the classic Japanese main courses are excellent, as are the lunchtime bento boxes. Dinner reservations are advised, particularly at weekends." Get our fresh and hand-made Sushi, Sashimi and Japanese Dishes delivered for free right to your home-door or your office, Or simply pick up your favourite Sushi Rolls and Japanese Dishes at Banyi Dublin Sushi & Japanese Restaurant. Whether you have a quiet night in or a Japanese themed house party, you can count on us. Giving a Banyi Japanese Dining Dublin Gift Voucher is an act of love. Whatever the occasion, be a romantic dinner date, your loved ones' birthday, or an unexpected surprise, our gift vouchers are the perfect gift. Give the joy of experiencing the best Sushi and Japanese cuisine in Dublin.